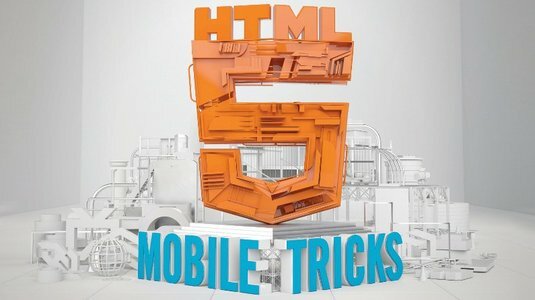 HTML5 has a great deal to offer to the website designers when it comes to catering to the mobile phone users. With the number of people using a mobile device to access the internet on the constant rise it is necessary for just about every web developer to advice their clients that a mobile website is a must. There use to be a time when having a website was optional; not any more. Thus if you still do not have one, you are missing out on some big share of the customer base. However the mobile web development scene is very complicated. There are simply so many different devices with different browsers, versions, screen sizes and undocumented features, bugs and problems that it is making a mobile website is not the easiest task. Hence there are times when you need to go beyond the usual borders to achieve the impossible. Here is a short list of tips, from which you are likely to be able to use at least 2 – 3 depending on the nature of your project. The default browser on Android up to 4.3 if you require a full screen the only solution is to have a document with a height at least equal to the device’s height and you can use the following snippet to hide the URL bar. As per the canvas API it is a bitmap based drawing interface that works when an image is loaded from a file. What this means that if you create a canvas having width of 200 pixels it will create an image with 200 real pixels. This will be drawn on the document using 200 CSS pixel width and will be independent of the resolution. But there can be an issue here because as far as the iPhone 5S is concerned, the 200 pixel image will be resized to 400 device pixels and it will have a similar effect on the Nexus 5 too, where it will be resized to 600 device pixels. This will result in loss of proper resolution of the image. However there is a work around. If you do require high resolution images, the following trick can be implemented. One thing to make a note of is that this should be done only when dealing with high resolution device, since increasing the size of the canvas will also increase the amount of memory being used as well as the CPU power required. Responsive Web Design is one of the best things to happen to a web designer. It is a foolproof solution to making a site viewable in a good manner on multiple devices. All that is required is that you need to define a few breakpoints with CSS media queries and you are set. You may be surprised to learn that responsive web design is a very successful solution but there is one exception. In fact it is likely that you may have even come across the issue and wondering if there is a work around or a quick solution. The problem is with Windows 8.x using the Internet explorer that works on a full screen mode also known as Metro mode. The feature in Windows 8.x where you can share a website opened in a browser with other full screen apps is where the issue begins. It is interesting to note that when you do share you screen with another app the width of the browser will be less than 1024 pixels. Thus IE will apply the mobile behaviour resulting in zooming out the website but will not apply the responsive code to go with that. This also works on many mobile devices as well. But things have changed. Since the iOS 7 release for the MAC devices and the new chrome on the Android this is not true. These operating systems and platforms no longer support the above mentioned format. All is not lost though, you can make some changes to code to make it look like what is mentioned below to get that functionality back. HTML5 has a new boolean attribute for HTML elements which is ‘ContentEditable’. This attribute can be used with several different HTML elements like a <div>, a <table>, a <ul>. The way this works is when the users tap on the elements with that attribute a virtual keyboard will appear and the user is able to edit it. The user will be able to edit it even if it includes rich HTML like adding a new list item using a virtual key. The updates can be saved by clicking on the innerHTML attribute of the element. As far as the Android device s concerned, it is not programmatically possible to do the same. The badge code above makes sure that the tile remains alive. There are many good features and hacks discussed here. They can come in handy in more ways than one. A mobile presence is pretty much vital in addition to having a web presence. But looking at this from a different perspective, since mobile and web presence are now in such great demand just about everyone is going to get one at some stage. This article has revealed several design and functional elements that are not very well known and widely implemented. Using such features and thus introducing such subtle differences in your website is what may make the difference when it really comes down to it. That is where Alakmalak comes in. This is one company that has realised the importance for each website to be different and each mobile application development to be different. But that is not all, the website or mobile applications (website) needs to convey the desired message of the respective company in their unique method. By choosing Alakmalak, you can be sure that you are in save hands since you would be opting for a company with a lot of experience. A company that has successfully completed more than 2000 web development projects with clients from all around the world.